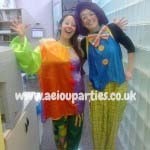 Clown Show: We can throw a party with just one clown but it is always more fun if there are two! We crack jokes & goof around with your kids…This is the best option for large groups and you can also choose to include a magic show as the ‘icing on the cake’. The Classic: We start with a fun welcome that includes many hilarious clown jokes, then we include dancing, games and music – these activities are all done with a touch of humour! To end the show we offer face painting and balloon modelling which are always a crowd pleaser! Each child will go home with a balloon model souvenir. A massive welcome to the birthday boy or girl, making them feel super special and having them smiling from ear to ear! A fun kiddie’s magic show that includes hands on participation! Storytelling or Puppet Show: This includes all of the fun, laughter, jokes, games, dancing, music, face painting and balloon modelling that our Classic package offers, plus storytelling session or a puppet show that is interactive and usually lasts between 15-20 minutes to ensure the kids are engaged during the whole performance……they usually ask for MORE! We offer other activities which can be added to the clown show experience, such as Science experiments for the inquisitive minds, Minidiscos for the groovers and funky movers, and much more fun entertainment in London; check out our Activities page for more info. There’s no obligation if you ask for further information, so please do not hesitate to contact us with any questions. 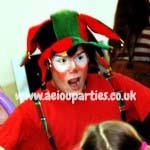 We also offer clownshows, magic shows, puppet shows, storytelling sessions and so much more for tolarge groups, schools and corporate companies. Please contact us to ask for more details. Workshops are available: Try our face-painting, balloon modelling, arts and crafts, beading, cake decorating,bubbles and more! 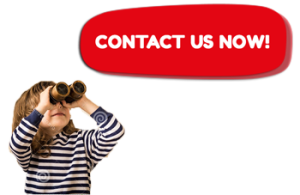 Please take a look at our price list and contact us with questions without any obligation. They give you a high quality service at an affordable price. 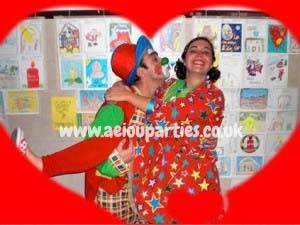 If you need a good dose of laughter added to your children’s parties, you can count on our clowns in London. 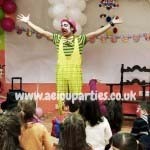 We offer the best clowns for communion celebrations in London with our fun and entertaining shows in your home. It is a high quality service at an affordable price. With our clowns at your communion celebration, it is sure to be a fabulous party that your children will remember for years to come. If you need a good dose of laughter, you can count on our clowns in London.